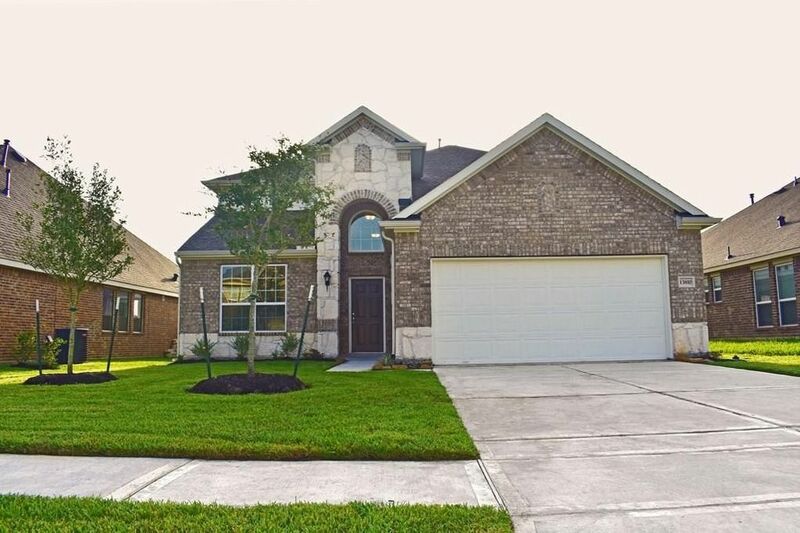 2 Story, 4 Bedroom, 3 1/2 Bath, Study, Formal Dining, Gameroom Up, Master Down, Dual Vanities, Separate Garden Tub and Shower, Ceramic Tile in All Wet Areas, Granite Kitchen Countertops, 42" Upper Kitchen Cabinets, Microwave, Kitchen Island, Open Staircase with Wrought Iron Spindles, Upgraded Lighting Package, Stone Accents, Covered Patio, Irrigation System in Front Yard, Tech Shield Roof, Environments for Living Home, plus more!AVAILABLE APRIL. Directions: Travel East on US 90 towards Crosby. Exit and turn right on FM 2100. Take immediate left on frontage road towards Kennings Road. Turn right on Kennings Road. Turn right into the community. Model is located at 346 American Black Bear Street.